As insurers and OEMs partner on EFNOL, whose shops get the work? 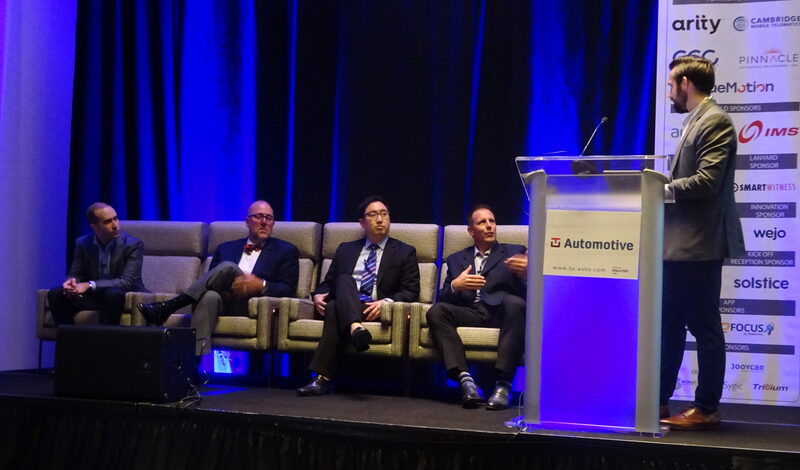 Audatex collision repair services Vice President Don Mikrut earlier this month noted that until various partnerships are worked out, the question of who responds to a collision detected by telematics could be a little tricky. 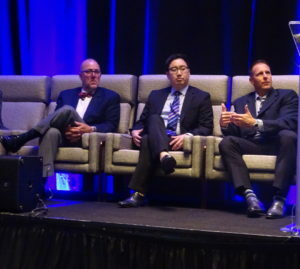 When a connected car detects a crash, who comes on the line — the OEM or the insurer’s representative, Mikrut asked the Connected Car Insurance USA conference Sept. 6. These kinds of issues are arising today, he said. How individual automakers and insurers partner and manage such “electronic first notice of loss” scenarios could have a major impact on shop referrals going forward — shaping the competitive landscape for certified, direct repair program and unaffiliated shops. “That is the question of the hour,” CCC product management Vice President David Bliss said in response to a question about who contacts the customer and refers the shop when an insurer and OEM are working together. He said CCC’s stance is it depends on who owns the technology. If it’s an insurer’s usage-based insurance platform, the insurer takes the lead, he said. If it’s the OEM’s connected car platform, the OEM manages it. If there’s an overlap between the two, then it’s an opportunity for both to “play nice” for their mutual customer, he said. That’s what your focus needs to be, Bliss said. Otherwise, you’d never get a “single answer,” he said. Allstate Director Clint Marlow, who was also on the panel, said he agreed. On the claims side, all parties are thrown together for a single customer, including entities like rental car agencies and parts supplier. If the process works well, “we all benefit from it,” Marlow said. If there’s a failure among one of the stakeholders, all will be blamed by the consumer, he said. As for whose shop gets the referral, Bliss suggested aligning both the insurer and DRP networks. Is there a certified shop also on a DRP program? he said. At first glance, this seems like a logical solution. However, it raises a fairness question if both the OEM and insurer internally score their shops and use those rankings to determine referral order. Does a lower-performing OEM-certified facility get recommended over higher-scoring competitors solely because it has a DRP? And vice versa: Does an insurer elevate a certified shop over a higher-scoring uncertified one? Nissan in 2015 described working out with partner Liberty Mutual a system for the more traditional claims process (the customer calls the carrier) in which the insurer’s call centers would recommend Nissan-certified shops, followed by direct repair program shops. However, in that case, it’s technically the insurer making the recommendation; an OEM might not wish to pitch its customers facilities that meet a DRP’s criteria but not a certification program’s terms. It’s possible that insurers would be willing to accept a scenario where only certified shops are recommended at the moment of impact in exchange for both the chance to pitch driving-score based deals via the car and the chance to detect the crash and reach out to the customer immediately on the back end. The amount of new premiums generated and money saved from electronic first notice of loss could make up for lost DRP cost concessions. Here’s one example: Agero Chief Strategy Officer Jeff Blecher told Connected Car Insurance USA that an insurer can eat $875-$1,050 in incremental loss per claim because of their lack of immediate notice. He broke this down as $200-$250 when police call a municipal tower to get the car off the road, $550-$700 while the vehicle in tow yard storage and rental car bills while the insurer spends 5-6 days getting the paperwork completed, and another $125-$150 to get the vehicle towed from the yard to the customer’s body shop. That’s $1,000 before the repairer even gets their hands on the vehicle, Blecher said. “This is a much better experience,” he said of automated loss detection. Agero has a 90 percent capture rate when it is brought in by one of its partner insurers — it can beat the municipal tow trucks to the scene 90 percent of the time if it knows about the incident, Blecher said. Trying to wrap your head and plan your business around trends like OEM certification and connected cars? Learn more during the SEMA show in Las Vegas with “The Evolution of OEM Network and Expectations” and “The Future of Telematics, Technology and Transportation and the Collision Industry.” The Nov. 1 sessions are part of the OEM Collision Repair Technology Summit portion of the Society of Collision Repair Specialists’ Repairer Driven Education Series Oct. 29-Nov. 2. Register here for individual RDE classes or the series pass package deal. Where things get interesting is a scenario where an OEM and insurer both detect the crash simultaneously — even if they have no business relationship. The OEM might detect it from the vehicle’s internal connectivity, while the insurer might have noticed the crash using nothing more than a smartphone app. However, the conference suggested some insurers took the viewpoint that they’d just wait for the connected car’s own data rather than develop their own method of gathering it. It’s unclear if this referred to usage-based insurance, telematics for claims processing or both. Matteo Carbone, founder and director of the Internet of Things Insurance Observatory, raised that viewpoint, arguing that insurers who wait for OEMs will leave their competitors with an advantage. He told the conference that more than 99 percent of telematics on the market today use an aftermarket technology. David Lukens, LexisNexis global director of product manager, told the conference that the majority of carriers he spoke to had the notion to wait as well. He called this a bad strategy, for companies who don’t have experience with telematics data will have a harder time catching up when it does become more available, he said. Lukens also observed that cost might deter buying or establishing programs as well. Marlow also observed that insurers “like a single consistent process,” which can hinder adoption of new technology or methods. It was unclear if this was a reference to UBI or claims. However, he also noted that on the claims side, insurers are a “highly regulated” industry that loved tradition.